Khorosho Productions: Heroic Scale Female Heads - now with Berets! 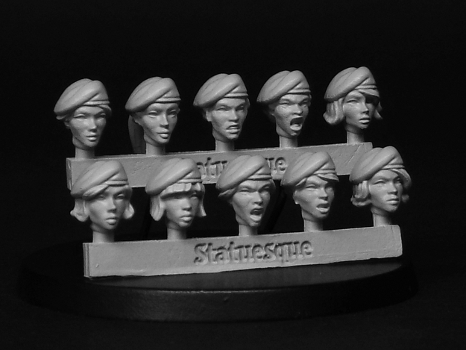 Heroic Scale Female Heads - now with Berets! Phew! 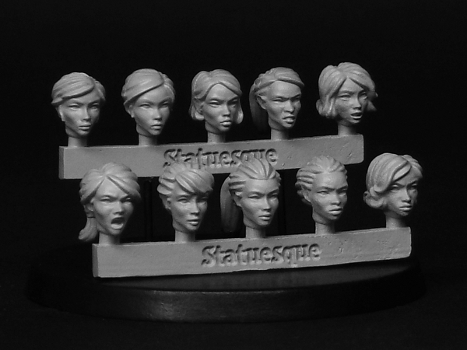 It's been a fair old wait, but I've finally received castings of the new Heroic Scale Female Heads - Berets set, from Statuesque Miniatures! For various reasons production took much longer than usual, but much to my great relief (and to all those who have been asking after them) they are on sale and ready to go. 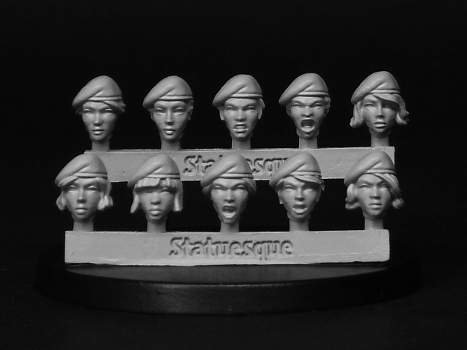 Designed to allow you to convert your heroic scale figures, the Heroic Scale Female Heads - Berets set features ten female heads each sporting fetching military-style berets. Priced at £4.75 per set, there are the usual discounts for buying multiple sets. 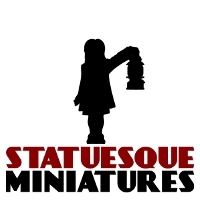 Head over to the Statuesque Miniatures Online Store to grab your heads now! A lot of people have been waiting for this restock but don't worry, I ordered significantly more than usual so hopefully it will last long enough for me to get yet more in. To be sure of not missing out, get over to the Online Store!